Maisah is a research assistant under Dr. Beth Murray-Davis at McMaster University in the Obstetrics and Gynecology Department. She has a Masters of Public Health concentrating in Social and Behavioural Health Sciences from the University of Toronto. 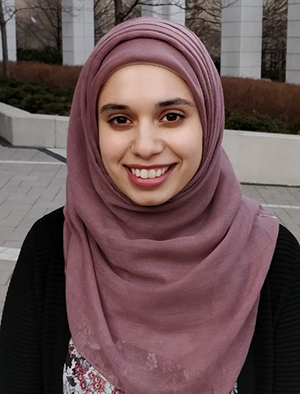 Maisah completed her undergraduate education in H. Life Sciences at McMaster University. Her primary research interests include population health, health equity and maternal and infant health. In the past, she conducted research examining the health and settlement providers’ response to Syrian refugees in 2015-2016.